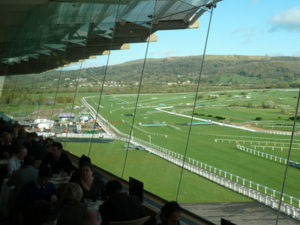 Cheltenham Racecourse and top class National Hunt racing go hand in hand. For most casual fans of horse racing that is because of the Cheltenham Festival in March. Prestbury Park hosts much more than one quality meeting though as evidenced by this weekend’s November Meeting. Still known to many a racing fan as “the Open” despite its recent name change, the November Meeting takes place over three days and is set to include some excellent horses, big prizes and lots of betting opportunities. It may be early in the National Hunt season but there’s been more than enough time for some eye catching performances from a host of up and coming younger horses. While some trainers believe that the best approach is getting runs under the belts of their impressive charges, especially those with novice status, older horses tend to be eased back into things. That’s why the likes of Dynamite Dollars and Anytime Will Do arrive on the back of some good form whilst Tiger Roll and Coneygree have been allowed to extend their work at home before being tested in this sort of competition. It’s been largely very pleasant so far for November in Gloucestershire. Some showers in the area have had an effect on the going at the Cross Country course, the Old Course and the New course but they’re all set to be either good or good to soft. Those making the trip to Prestbury Park will need to wrap up warmer at the weekend than on Friday as the forecast for the first day of the November Meeting suggests highs of 15 degrees Celsius. It will dip down to 10 degrees on the weekend but that is still balmy for this time of year. Thankfully the chance of rain is only around 10% for the entire three days which is great news for those watching and should provide some stability for punters who have an eye on the going. There’s a combination of up and coming horses and bona fide stars of racing competing on Countryside Day, the opening day of the November Meeting. Racing fans will be delighted to welcome Tiger Roll back to work after his Grand National win, whilst pocketbooks will be out to make note of any impressive performances among a host of promising novices. BetVictor are the sponsors of the November Meeting and have lent their name to several races. The BetVictor Handicap Chase is the sort of betting heat that often leaves punters scratching their heads. We’ve seen winners range from 100/30 to 25/1 in the last 10 years. There are some trends to help pick out a winner though. We’re looking for a horse aged under 10, who has raced at Cheltenham before, with a fair amount of jumping experience and who hasn’t been overly penalised by the handicapper. There are some very good horses at the top of the betting but they all look to be carrying too much weight, that’s not the case with Doitforthevillage. His last win came in this race 12 months ago on good to soft ground so he is tempting at 8/1 with Betfair given that he’s carrying less weight this time around. Novice chasers have the chance to leave their connections dreaming of big future success with a strong performance in the Steel Plate and Sections Novices’ Chase. Although it’s technically open to horses aged four and older, all of the last 10 winners were aged five, six or seven. Even though novice chasers can be unpredictable, the bookies tend to include the eventual winner in their top three options which is where you find Dynamite Dollars at 6/1 with Ladbrokes. Paul Nicholls’ five-year-old will need to beat more experienced rivals but the quality of his debut over fences last time out at Market Rasen suggests he could go onto bigger things. Connections were suitably encouraged by what they saw and Dynamite Dollars is well placed to follow up with another win. The big story ahead of the Glenfarclas Cross Country is that Tiger Roll is set to make his first appearance since winning the Grand National. The Gordon Elliott trained eight-year-old is far from the big, strapping horse you’d expect when reading about his levels of stamina but there are few horses with as much heart as him. Those who tipped Tiger Roll for the National did so after seeing his incredible win in the Glenfarclas Chase at the Cheltenham Festival. The going may be firmer than it was that day back in March but Tiger Roll is more than just a stayer. He’s a solid jumper who won’t mind the stiffer pace so is a very worthy favourite at 7/2 with Coral. Shorter odds winners are usually the order of the day in the Ballymore Novices’ Hurdle. This Grade 2 contest always attracts some promising younger horses who are taking their first steps over hurdles. That given, the winner has normally shown some strong form in the early stages of their hurdling career which is why Dinons and Pym sit at the top of the betting. Gordon Elliott was clearly chomping at the bit to get Dinons over hurdles. The five-year-old has already made six appearances over hurdles. After falling first time out in Bellewstown, he’s won every single race since including last time out at Cheltenham. Dinons has won on different surfaces and over four different distances so this does look like his to lose at 3/1 with Ladbrokes. The November Meeting gives punters great opportunity to profit from the bookies this week but for many it’s as much about looking for clues for the Cheltenham Festival in March. There will be many clues provided by the pick of Saturday’s action which includes rising stars and returning warriors. Saturday’s racing at Cheltenham gets underway with the JCB Triumph Hurdle Trial. As you’d expect, the horses competing in this 3m3½f race are being targeted at the Triumph Hurdle at the Cheltenham Festival. Some of the leading contenders for that big race in March are set to contend on Saturday including the favourite, Never Adapt. He’s made just one appearance so far though so it could well be worth looking a little further down the market. Quel Destin is an intriguing option at 9/2 with Betfair. Paul Nicholl’s three-year-old was beaten in the closing stages on his British debut over hurdles but was never in trouble last time out in a Juvenile Hurdle at Kempton. Connections are hopeful he will be even better on soft ground but should have enough on good to soft ground to be in contention at a decent price. We appear to have a very competitive renewal of the BetVictor.com Handicap Chase ahead of us. The nature of the contest means a certain amount of experience is required to come out on top. That’s why the vast majority of recent winners had already won over 3m and previously at Cheltenham. The quality and experience required is why there have only been two winners priced over 12/1 in the last 10 years but there have been plenty of bigger odds horses landing an each way place. When it comes to each way options, there are few more appealing horses than Coneygree at 16/1 with BetVictor. The 11-year-old tends to save his best performances for Cheltenham and he should be well suited to the forecasted good to soft ground. He’s not been seen since falling twice in December of last year but there is life left in the 2015 Gold Cup winner so expect him to be amongst the places at least. A maximum field of 20 horses are expected to compete in the BetVictor Gold Cup. This is one of the most valuable handicaps of the earlier stages of the National Hunt season. The competition is tough enough just to get a run in the race so you don’t have to guess about the quality of horses who win. That’s why previous good form at Cheltenham and over 2m4f in a chase have proven to be so important. Some punters may malign the fact that winners over 12/1 are increasingly rare but there is no doubt that this remains a highly entertaining and competitive race. Having not been seen for well over a year, punters were keen to see how Baron Alco would go on his comeback at Chepstow last month. Although the seven-year-old came up just short, his performance was more than encouraging enough to suggest that big wins are around the corner. Baron Alco is a 10/1 shot with bet365 which looks like a very fair price about his chances. The Regulatory Finance Solutions Handicap Hurdle is among the longer hurdle races of the season. It’s proven to be an important race to horses who then kick on to secure some good results over fences later on in their career. That’s why so many recent winners had won a hurdle race over a trip of at least 2m4f. The specialist nature of the race is also why favourites have a decent record in this race. The current favourite for this year’s contest is First Assignment at 5/2 with Coral. That may look a little short given the nature of his competition but he was the subject of a big gamble last time out and showed just why he had so much support with a gritty performance over 2m5f at Cheltenham. The handicapper looks to have treated him fairly. He has winning form over 3m in Ireland and can take that form to Prestbury Park. Sunday’s card contains some pretty strong favourites for a good day of racing. The question that all punters will be asking is which of those favourites will rise to the expectations of them and which will get fall short. The big races on Sunday begin with another trial for the Cheltenham Festival. This time it’s a race for novice chasers who may have an impact on the Arkle in March. Run over the minimum distance of 2 miles for a chase, this is another specialist race. The pace that the race tends to be run at puts a big emphasis on jumping. Connections of Defi Du Seuil are still hopeful rather than expectant that the five-year-old will prove to be good enough over the bigger obstacles to have a successful career over fences but he certainly showed enough promising form over hurdles to suggest that big things are around the corner. He’s getting plenty of support in the market at 7/2 with Coral which is good news and it could well be worth following the crowd on this occasion. The Shloer Chase is the same grade as the Arkle Trial and is run over the same distance but the experience of the horses in the field could not be more different. The early betting includes the likes of Brain Power and Special Tiara who have both competed in some of the biggest chases around. It’s Sceau Royal who is getting the majority of support in the betting though. Alan King’s six-year-old did some very good work in his season as a novice chaser last year and is fancied to achieve even greater things over these short distance chases with that experience behind him. Overcoming the experience of his rivals will be no mean feat but the King team deserves success with him after he was ruled out of the Cheltenham Festival last year and he should do them proud by winning at 6/4 with Coral. Verdana Blue has done some very good work already this season. After claiming her maiden win on the flat, the six-year-old won over hurdles at Kempton and then improved even further to claim the Grade 2 Elite Hurdle just last week. Connections are happy to make the most of Verdana Blue’s hot streak so she’s been entered into the Greatwood Handicap where she is the firm favourite at 9/2 with bet365. It will be tough to get this favourite beaten but any mistakes by Verdana Blue will be capitalised on by at least one of her rivals. Of them all, it’s Western Ryder who makes the most appeal at 7/1 with Ladbrokes. Warren Greatrex has been talking up the chances of his gelding as he makes his seasonal reappearance so an each way bet may well be in order. Four and five-year-olds make up the field for the Supreme Trial Novice’s Hurdle. Each of those with an entry to the race have shown enough to make connections hope that they can land a big prize but only a few have done enough to really raise expectation levels. Anytime Will Do is in that latter category following back to back wins over hurdles. The first of those wins for Dan Skelton’s five-year-old came in a maiden at Uttoxeter early in October. He showed made only slight mistakes with his jumping to reward favourite backers that day before winning again as the shortest priced horse at Bangor a couple of weeks ago. That made him three for three under rules and he could well extend that record on Sunday. This is his toughest test by far but the 5/1 that Betfair are quoting is a tempting enough price to back Anytime Will Do to win. There are many jumps racing festivals held over the course of the year, with all roads ultimately leading to the big four-day Cheltenham Festival at Prestbury Park in March. 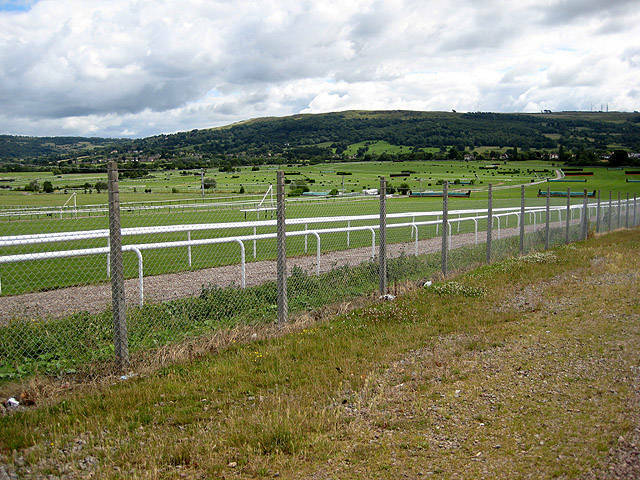 It is fitting therefore that, for many, it is at Cheltenham racecourse where the latest National Hunt journey really begins each year. The jumps season will already be underway by the time we reach this three-day meeting in November – known to many as The Open Meeting but now called The November Meeting – but it is here where the season proper really begins to kick into gear. Featuring early trials for the major Cheltenham Festival contests, a generous helping of high-quality handicapping action – including one of the biggest such events of the entire season – and plenty more besides, this meeting annually serves to warm the cockles of jumps fans as the winter months roll around. Anyone seeking a future star, and potential Cheltenham Festival winner, will do well to take in the major juvenile contest on the Saturday card. Held over a trip of 2m½f, this Grade 2 event is the first real recognised Triumph Hurdle trial of the season and as such attracts a number of the most highly touted three year old hurdlers in the game. Defi Du Seuil went on to land the Triumph for Philip Hobbs having taken this in 2016, whilst 2006 champ, Katchit, did even better, claiming Champion Hurdle glory in 2008. The big contest on the Saturday card at the meeting is this Grade 3 Handicap held over a trip of 2m4½f. Open to runners aged four and older, there are 16 formidable fences standing between the runners and the considerable prize pool on offer – £160,000 in 2018. Still referred to as “the Mackeson” by racegoers of a certain vintage, Paddy Power also sponsored the race between 2003 and 2015, with BetVictor then taking up the reins. Whilst this may “only” be a handicap, that hasn’t stopped a number of high class performers landing the prize over the years, including dual Champion Chaser, Fortria, who took this twice in the 1960s, and future Cheltenham Gold Cup winner, Imperial Commander, who came home in front in 2008. The most eye-catching – and highest class – of the chases on Day 3 is this 2m Grade 2 affair open to runners aged four and older. Officially titled simply, “The Cheltenham Chase”, this event was added to the roster in 2009 and has quickly compiled a classy roll of honour. Classiest of them all – and our favourite chaser of all time – was 2015 hero Sprinter Sacre, who took this on route to that stunning second Queen Mother Champion Chase success when back at Cheltenham in March. The race remains one of the key early season trials for the Champion Chase and is an excellent prize in its own right, offering £75,000 in prize money in 2018. The closing Sunday of this meeting also sees one of the biggest and best early season Handicap Hurdles take place. Again, open to runners aged four and older, this Grade 3, 2m½f event offers excellent prize money – £100,000 at the time of writing. One of the classiest races of its type of the season, talented dual-purpose performer Detroit City and future Champion Hurdle winner Rooster Booster feature prominently on the list of previous winners. Best of the lot though was the Irish raider, Sizing Europe. Bursting onto the scene when taking this in 2007, the prolific Henry de Bromhead runner went on to score eight times at the very highest level. Many of the races that feature heavily in this three-day meeting have been with us for a while now – the BetVictor Gold Cup for example has been run in various guises since 1960 – however this meeting as a whole only came into being at Cheltenham Racecourse in 1999. Known as The Open Meeting from the time of its inception until 2017, it will forever be referred to as such by many racing fans. The official title of the event according to the racecourse itself though is, The November Meeting. The reason given for this change being in order to avoid confusion with The British Open. That’s the same British Open played in July using a metal stick and a little white ball. Nevertheless, it seems somebody, somewhere must have been confused. Regardless of the naming alterations though, this has always been a celebration of the sport which has drawn together the great and the good of the jumping game and remains one of the first dates pencilled into the diaries of National Hunt fans.